Key difference: The suppliers and manufacturers differ in their functions. Suppliers are the ones who supply the products and/or services, and manufacturers are the ones who produce and manufacture the products and/or services. In business terms, supplier is ‘a party that supplies goods or services’, which can be distinguished from a contractor or subcontractor, who commonly adds specialized input to the deliverables. Their basic function is to supply the goods and services to the respective authority, irrespective of its type or category. They can sometimes also act as vendors. They are also manufacturers, processors, packagers, wholesalers, dealers, and merchants. Suppliers are basically individuals, companies or other organizations which provide goods or services to a recognizable customer or consumer. They are responsible for the supply-chain management system, which provide a link between the manufacturer and the end-user. A manufacturer in business is an entity that sets up a solid process involving raw materials, components, or assemblies, usually on a large scale with different operations, which are divided among different workers. They are commonly used interchangeably with producers. They are involved in the real process of manufacturing, where the products and/or services are created and bought into existence. They are the ones who actually produce and create things, products, goods and services from the basic raw material. They work on the base root level of the production of goods and services. They generally manufacture the products in a bulk quantity and are responsible for its origin, quality and creation. Suppliers are the one who supplies products or goods from the manufacturer to the consumers. 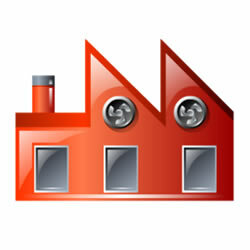 Manufacturer is the one who manufactures or creates the products. It is the company that purchases the stock. It is a part of the product information. They are sometimes also categorized as vendors. They are categorized as producers. They supply the product to the respective authority. They actually make and produce the products and services. They are not concern with the material, quality and type of the products. They are solely related to the materials, quality and type of the products. They sometime act as a link between the manufacturer and the customer. They are concern with production of the goods and services; hence do not provide any link. They are concern with the manufacturers. They are not concern with the suppliers, mainly concern with the producers. They have a contract and account with the authorities. Here they are the authorities. They can make as well as sell the product.